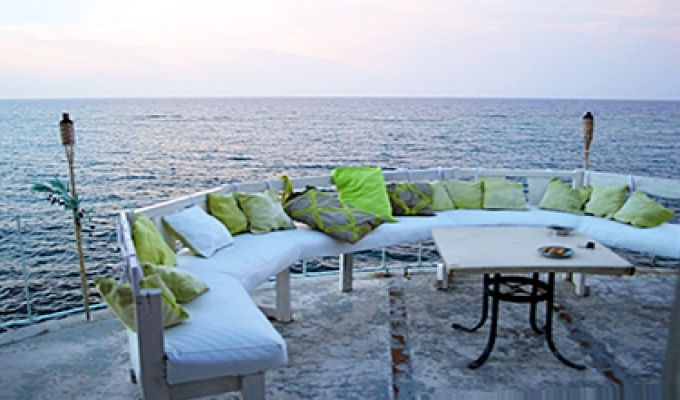 DELETA'S DELIGHT is a 1980 charming serene sea side villa in Jamaica, catering to guests over 16 years and over. because of the design of our villa we cannot cater to children. There is a small restaurant and Lounge on property, free Internet and cable. One of the most beautiful beach is only 10 min. away Our courteous and friendly staff will make your stay the best you ever had. I recently stayed at Deletas Delight, i was going through a difficult time and needed to get away. It so happened that i stayed at this breadth taking, gorgeous bed and breakfast that is filled with life and inspiration. It over looks the Caribbean Sea, the amazing sunset, the fabulous decor, the cuisine, the staff, the host...i could go on and on. This was an A-MA-ZING time away/experience and i will definitely return. In fact soon i will have to reserve this bnb a year in advance because im sure everyone and there mother will be staying there. To the host Shirley, keep doing what you are doing you are a natural!